Share the post "Pippa Anderson – The Voice Coach"
Pippa Anderson is an experienced vocal coach based in County Durham. Pippa develops voice lessons for public speakers, actors, singers and students and helps people with their singing technique, confidence-building, presentation-coaching and troubleshooting. Pippa asked if I would help with her branding prior to her launch and wanted a professional identity incorporating an icon associated with voice coaching. 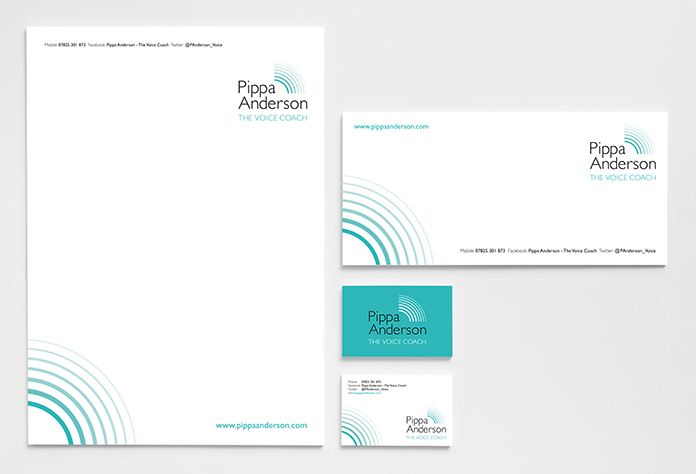 I developed her brand identity over the course of two weeks and Pippa has said she’s delighted with the final outcome.